What story are you going to create with your lippies? Today, stand out and make a statement! But don’t let parched and dry matte lips stand in the way. 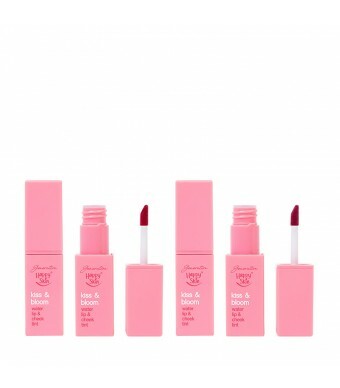 This Happy Skin Shut Up & Kiss Me Moisturizing Matte Lippie is impressively hydrating while providing an ultra-matte finish It moisturizes so superbly that it doesn’t magnify dry skin on dehydrated lips. It glides on with high impact and intense color. The longwearing formula wonderfully stays in place, too! Finally, kissable lips no MATTEr what! 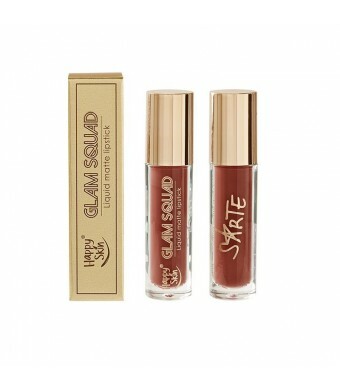 This lippie offers a three-fold ""lip service"": a trendy matte texture, the pigment of a lipstick & the hydration of a balm! Powerful Cupuaçu butter offers unrivaled hydration, making this the most moisturizing matte lippie you’ll ever try!